The piano is arguably the most universal instrument there is. Many musicians recommend starting with a kids piano and then learning more instruments after you get a good feel for the piano. The reason why musicians recommend the piano first is because it’s an instrument that teaches you music theory and builds your finger dexterity right off the bat. After hours of playing on these keyboards, I came to my conclusion that I like the Alesis Recital Pro most. You can check it out on Amazon here for more reviews. If you’re interested in your child taking piano lessons, you will want to purchase a keyboard or a digital piano. Taking lessons without a keyboard for kids to practice on is hard. Your child won’t retain as much information if they are only meeting with their instructor and practicing once a week. I believe that if you can afford one, a digital piano for kids is the best instrument you can get. They sound like real pianos and are the closest feeling thing there is to a real one. Playing at a young age helps your child strengthen their brain and it also will help with trying to learn other languages. This guide is meant for parent’s who are looking for pianos for their kid who is 10 and under. Why Should I Look Into A Keyboard? What Size Keyboard Should My Child Have? Playing a musical instrument is very good for the early development of the brain. The piano works as an outlet for stress and anxiety and if your kid learns to play at an early age, it will help them later in life. It is the most universal instrument there is, so if your kid is interested in music, the piano is the right move. There is nothing better than completing tasks and feeling accomplished when you’re a kid. I remember when my instructor gave me piano homework, I would be so happy when I completed it. It’s good to have your child feel like they are making improvements and exposing them to something like this instrument early will help. There is a mathematical side of music for sure. Exposing your child to learning the technical side of music will help them tremendously in the future. At What Age Should My Child Take Beginner’s Piano Lessons? As far as keyboard lessons go, I would recommend you wait until at least 6 years of age. Now, this doesn’t mean that you can’t start them earlier, it just is a good general age to start. Any earlier and it’s typically harder to keep a child’s attention to really start making some progress. At this age, they are exposed to learning in a classroom and are just beginning to understand adult instruction. There are instructor’s that say you should start lessons before they turn 9 years old. Some instructor’s think that there’s a window of opportunity they miss out on if you start them later. If you have a 5-year-old who is telling you they want to learn to play the keyboard, I wouldn’t hold them back from it. This is a very good sign and it means that they are connecting with music at a young age. Something you can do as a parent slowly starts to expose your child to music and different instruments. I have found that if they connect with a certain band, they will typically want to play whatever instruments that band plays. This can be used to fuel their fire and keep them hungry when it comes to learning. What If I live In An Apartment Or Have To Keep The Noise Down? These instruments have volume control and that is extremely important. An instrument like a guitar or drums will typically be much louder. They are often times very portable and light, making them easy to carry up or downstairs. If your child has a strong interest in drums, check out my favorite guide here. If you’re worried about your child making too much noise and the noise just being too much, they can use headphones. The headphone technology has come so far and having an electric piano with a headphone port is really useful. I recently talked about the best electric pianos in the world today. You can check it out at the link above. Sometimes your child won’t want people to hear them when they’re first starting because they’re embarrassed. Headphones are a simple, affordable solution. This is an important question. You can buy a full 88 size keyboard for your kid if they are 8 and older and are serious about music. Don’t spend too much money before you know how serious they are about music. 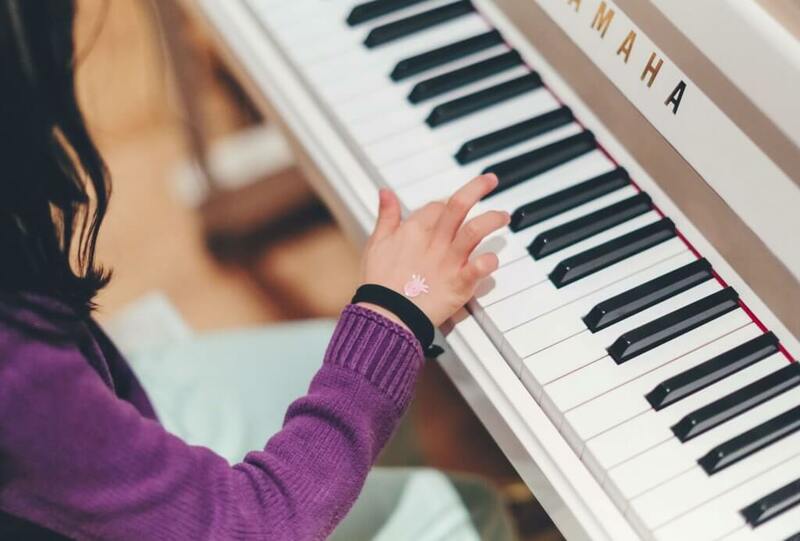 Having a keyboard as your kids’ first instrument is a good thing because when they graduate to a digital piano, they will start to develop more finger dexterity. The keyboard obviously won’t have weighted keys, but don’t focus on this too much unless your kid is close to becoming a teenager. I would recommend this to musicians who are serious about playing and don’t want to learn on a smaller keyboard. This is technically a digital piano and when you buy these, you’re buying an instrument that sounds and feels the closest to the real thing. The reason I like this is the fact that it is quality, yet affordable. This is an instrument that you will get many years out of. With some of the cheaper products, they will grow out of them after a couple of years for something better. This comes with split and layer mode which allows you to split the keyboard up to have different sounds in different octaves. Layer mode allows you to layer multiple sounds at once. The educational purposes on this keyboard are really cool. It includes Skoove3, which allows your child to practice online for 3 months with a live person. This is really cool and technology has really made it easier for kids to learn piano. Let’s take a look at some of the key features below. The ONE Smart is a really neat product. It has 61 keys that light up when you start playing. It comes with over 4,000 different sheet music pieces, free games, and lessons that you can use on your I-pad or I-phone. This keyboard was designed to connect to smartphones to help further your knowledge with keyboards. I like this kids piano because it gives them something fun to do with the games and lessons features. With today’s technology, kids want to play games, having games that are based around music is kind of a cool concept. Some of these games help teach your child how to write and play different melodies on the keyboard. Something interesting with this instrument is that the lesson modes on this keyboard are some of the best you can get without getting real lessons. If you go into this with the mindset that it’s going to be a starter instrument that you will get a couple productive years out of, it’s perfect. This keyboard comes in different colors as well, so be sure to check the different colors out. 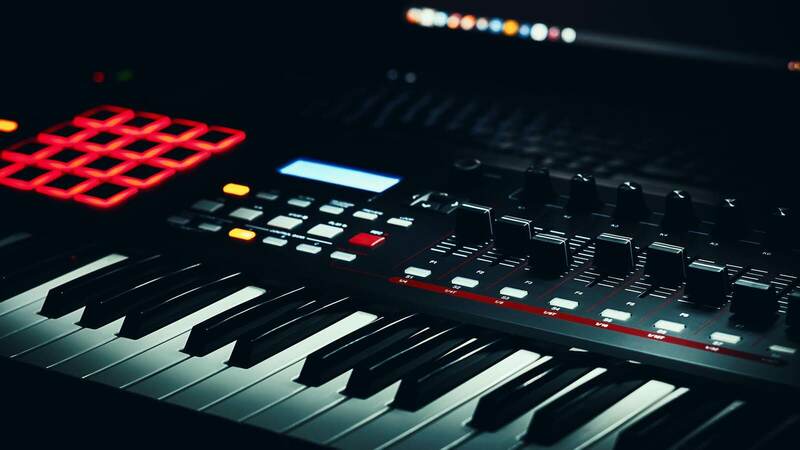 The Yamaha P-45 is an excellent choice again for students who are at the beginner to intermediate level and are looking to graduate from a smaller keyboard. This instrument has 88 full size weighted keys and plays very nicely. I like this because it’s a digital piano and I believe if you can afford it, these are really the best for kids. The Casio CT-X700 is one of my favorites for beginners. I like this product because the sounds on it are actually very realistic. I wouldn’t call this a toy because it is put together much better than a typical kids piano is and doesn’t feel as cheap or flimsy. I recently talked about this product in a full review. Click here to see why I like the Casio CT-x700 so much. When you buy a newer keyboard it’s always good because they typically have new features that older keyboards don’t have. As technology in the music world continues to grow, pianos are also starting to get more advanced. The plastic on the exterior of the instrument is very durable compared to other ones around this price range. The Casio CT-X700 comes with 600 pre-set sounds and 195 different rhythms to play with. This feature is fun because they can literally just hit play and play along to a beat. We will be looking at cheaper options for beginner keyboards, but the Casio series is always a safe bet. The CTK-2550 allows you to connect to your I-pad or I-phone and learn your favorite songs by using the free app, Chordana. It comes with 400 different pre-set sounds and over 150 different rhythms. The Yamaha PRESEW300 is a newer product for Yamaha and it definitely an instrument that will grow with your child. This could be used easily for 4-5 years until your child is ready to graduate to a digital piano or real piano. It might be a little more on the expensive side, but it comes with a stand and a power adapter. This comes with Yamaha Education Suite so your child can begin learning immediately with their piano. A cool feature about this is Touch Tutor, which tracks the velocity of the keys being hit in order to teach you or child dynamics. The Yamaha DGX230 is a 76 key keyboard that works well for beginners and kids. The keys on this are non-weighted, but you can set different levels of resistance on the keys. This helps for when your child starts to develop finger dexterity. Having more resistance is going to simulate a real piano more than having less resistance. This comes with Yamaha Education Suite, which is an educational program that comes on a CD-ROM. You can put the CD-ROM in and play along with it by separating if you want to do left and right hand or one or the other. The speakers in this product have some really good feedback on them and this is because the speakers have separate sub-woofers for the low end. The DGX does come with USB/MIDI in case you wanted to hook it up to a computer and record with it. This is a nice feature to have because as your child furthers their passion, they may want to record and experiment with more sounds. 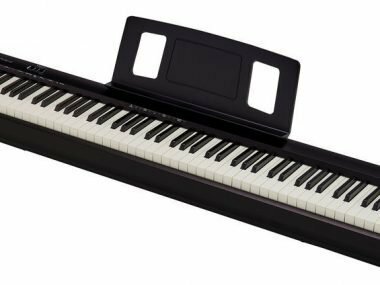 The Hamzer 61 key portable electronic keyboard is an entry-level product that works well for kids. This option is going to be cheaper and the quality isn’t going to be as good as the Yamaha or Casio keyboards, but it is more so meant to get your child into music. The keys on the Hamzer 61 are slightly smaller and they are closer together than a normal keyboard would be. The plastic on it feels a little flimsy as well. The volume is something that is pretty weird. It is surprisingly loud and it defaults to max volume. Headphones aren’t very good with the Hamzer 61 because the volume is really loud even when on the lower volume setting. Something nice is that it comes with a detachable music stand to hold sheet music. The Alesis Melody is good for beginner’s piano lessons and for parents who don’t want to spend a fortune. Alesis also makes the Harmony 61, which is just a step up from this product. This comes with a stand, a music holder, a microphone, and a bench. Something to keep in mind for parents is that some of these kids pianos are not going be high-quality. This beginner’s product comes with a headphone jack for parents who want to keep the noise down a little bit. You get the functions like dual and split mode on this keyboard which is also a plus for a beginner. This allows you to split the keyboard to have more than one sound at a time. The RockJam 61 is very entry-level. This comes with an LCD screen so your child can see what sound they’re on and what program they’re using. Something nice is that it comes with the stand and a bench. Keep in mind that this is entry-level, so do not expect an incredible keyboard here. This comes with 2 months of face to face lessons. This helps as lessons are quite expensive. The keyboard itself isn’t going to blow you away and it feels rather cheap. This is our least favorite and it doesn’t compare to some of the others on this list. The overall quality of a keyboard for kids is not going to be as good as one made for adults. The big difference will be in the way the keys feel. This isn’t a huge deal, but over time you will want to have weighted keys. The speakers on the will definitely be loud enough, but they’re not going to sound like a grand piano. Remember that if you’re spending less money on an instrument, there is going to be a quality difference. This isn’t a bad thing though. A digital piano for your kid is a really good choice if your child is really interested in learning to play the piano. Digital pianos typically are going to be more expensive than a piano for toddlers. I recently put together a list that breaks down learning music for toddlers. You can check it at the link above. Keyboards are good if you’re not quite sure how interested your child is in music and piano. I recommend them for kids 8 years or younger. How many keys do you want your instrument to have? 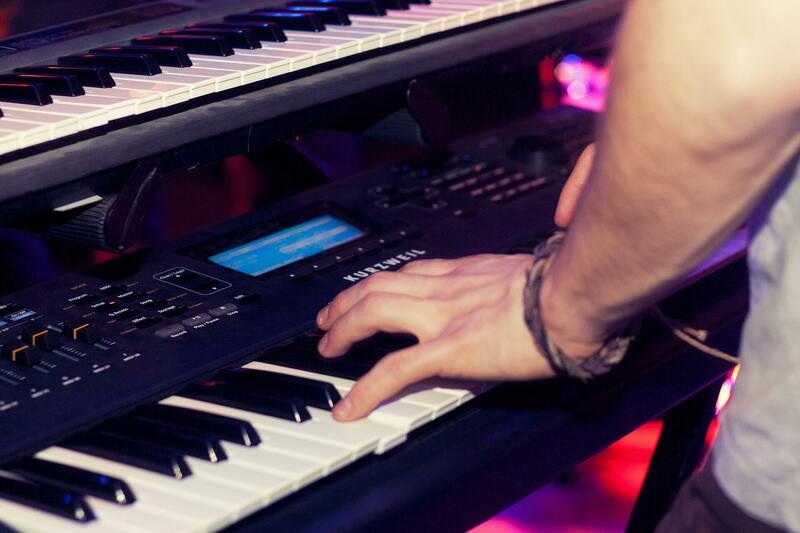 A full-size digital piano has 88 keys. Some of the children’s instruments have fewer keys. Having keys that are weighted is definitely recommended as your child gets older, however, they don’t need weighted keys when they’re first beginning to play. The right age for your child to start playing on weighted keys can vary. Your instructor will definitely tell you when they think your child is ready for weighted keys. If your child is learning on their own, I would say if they have been playing for a couple years and are 10 or over, they should upgrade to a digital piano. The big thing this helps with is finger dexterity. I found that when I switched to a real piano, my left-hand fingers became more powerful as they were pressing down heavier keys. If you are buying your child their first instrument, it is wise to test the waters on a cheaper keyboard. Parents should be spending a fortune until they know their child is serious about playing. You don’t need something that is going to blow your ears out. The speakers are important, however, they shouldn’t be the reason you’re buying the instrument. When buying an instrument you want to focus on something that is quality, yet meant to get them to the next level. Does My Kids Piano Need A Keyboard Stand? This answer varies. You can get away with placing it on top of a kitchen table or a desktop and be fine. However, eventually, you will want to get a stand for it. The posture is important for building proper technique as a pianist moves forward in their journey. Stands sometimes come with beginner’s keyboards as packages. If they don’t, you can still find them for pretty cheap since you won’t need anything special. What Kind Of Music Should My Child Focus On? I think it is important to let your child guide you to what kind of music they are interested in. The more interest you get out of them, the more motivated they will be to learn. It is smart to mix in popular songs with classical or jazz, depending on the route they go. Starting with classical and then going to jazz as they get older is always a really smooth transition. With classical music, you learn a lot of the basic fundamentals and music theory to be able to go into jazz. It is possible to just start up and want to learn jazz, however it is more difficult because you need to typically have some knowledge before you make the switch. If you start with a jazz instructor they will most likely have you learning the standard kids’ repertoire in the beginning so it’s totally fine. When you first begin lessons you start with about a year of basic lessons before you really have to choose what path you want to go down as a pianist. What Are Ways To Improve My Kids Interest In Piano? With piano or really any instrument, you never want to force it with your kids. When you are having to force them into playing and practicing for an extended period of time, they can lose interest along with focus. Many years ago, my father had me begin lessons when I was about 8 years old. I ended up quitting after a couple weeks. It was about a year later that I was listening to music and realized that I wanted to learn how to play. Introducing your kids to good music, whether it’s classic rock or even classical is a good thing. If they naturally decide that they want to learn, they will be able to retain more knowledge and want to stay driven. Music lessons are very challenging for kids at an early age so it’s smart to think of ways to pique their interest. Talking to them about their favorite bands is always a great way to get them hooked into an instrument. The inspiration they can find from their favorite artists is the greatest motivation they can find. Do I Need An Amp For My Keyboard? No, you probably don’t need an amp. Almost all keyboards come with built-in speakers that will be plenty loud. Most also come with a headphone jack so you can easily plug in to keep the noise down. 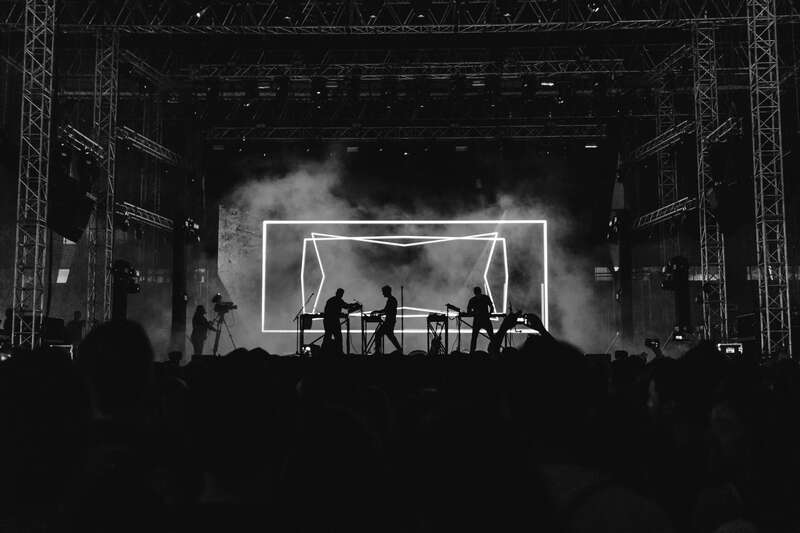 If you do want to use an amp because you’re playing a concert or doing a special performance, you will need one that has a line/out and an instrument cable. It is very simple to plug your instrument into the amp so you won’t have to worry about trying to figure that out. You will just plug the instrument cable into the amp and then plug the other end into the keyboard. Typically, the line will be on the back of your instrument. How Important Is It To Have My Child Use A Metronome? Using a metronome at an early age definitely is a wise move, however, you also want to make sure your child is ready to be playing with a metronome. There isn’t really an age for them to start using one, it’s more about when they’re able to. In the very beginning when they’re just learning the notes and getting used to pressing keys, they won’t be ready for a metronome yet. You want to wait until they are able to read and play through beginning-level pieces. As soon as they’re ready for it, a metronome will definitely improve their playing abilities. The metronome is one of the most important things a musician can use to improve their rhythm. A metronome is the most important thing for having good rhythm. Here are my current favorite picks on the market. They are typically very cheap and they are also easy to use. You can adjust the tempo to whatever the tempo of the piece is you are playing. This will make it so you don’t rush and you stay in time. If your child desires to someday play in a band, this is something that is really good to use at a young age. You don’t need to purchase a sustain pedal, but I really would recommend buying one. Sustain pedals for keyboards are inexpensive and they are instrumental in your child’s growth as a pianist. If your child is just beginning they can play without one, but as they progress they will be playing pieces where they need it. A sustain pedal allows you to hold out notes with your feet and without one the instrument can sound very choppy. Did I miss any of the kids pianos that you have used and had success with? Let me know below in the comments section!